Staggering 400 hours of content are uploaded into Youtube every minute; 6% of Google’s overall revenues came from Youtube amounting to $4 billion in 2014.. Yet, Youtube is not profitable. After paying to content creators (number of Youtube channels earning in 6 figures US dollars increased by 50% last year), spending on data servers and maintenance, Youtube is barely managing to break even. However, from 2016, things can drastically change for Youtube. As per reports coming in from various sources, it has been revealed that 015; a decision which can have major implications on Youtube’s earning potential. Youtube may introduce full fledged subscription services for music and exclusive videos by the end of 2015. Last year in November, world’s biggest online music streaming platform: Youtube, launched a beta version of paid subscription service for music lovers called Youtube Music Key. As per reports, Youtube is all set to roll out this service globally by end of 2015. The USP of this paid service is ad-free music, offline access to music videos and the ability to play Youtube videos even in the background, while using other applications on mobile (currently, the viewer/listeners need to be on the app for accessing content). It was launched as an invite only service, and it seems that the results are encouraging for Youtube. In the month of November, 2014, Youtube Music Key was introduced with a 6 month free trail, and after that $7.99 per month (Rs 515/ month) was the tariff. Subscription for Music Key also included free access to Google Play Music, which is considered a poor substitute of popular music streaming service Spotify. This new service from Youtube can create some ripples across the industry, as Apple’s low cost music streaming service is already making in-roads, while Facebook is well on it’s way to enter the segment. 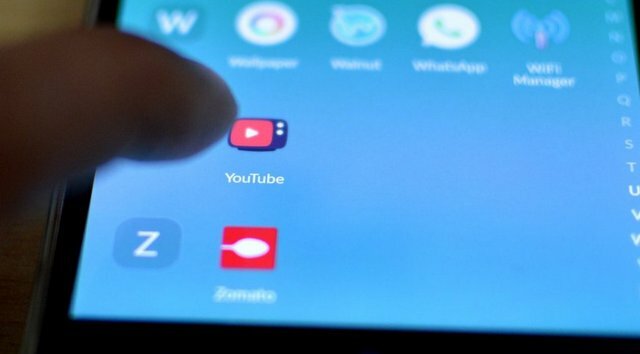 Domestically, Youtube can experience brief battle with companies like SaReGaMa, Gaana and Wynk from Airtel. At a time when on-demand music streaming is getting bigger and bigger (135.2 billion on-demand music requests were recorded in US during first half of 2015), the market is no doubt wide open at this point of time. Will Youtube create some dents in this sector? As per another report, Youtube is working on an unnamed subscription service, which will give access to exclusive content behind a pay-wall. This paid service will provide ad-free videos, premium content which would be hidden from free users and the ability to save the video for offline viewing. In 2013, we had investigated Youtube app code to find a pay-per-view themed service which was being tested; Last year, we had reported that Youtube is working on a subscription based model. Rumors were also spreading that Youtube may initiate a $10 per month subscription service which ensembles music streaming, exclusive content, ad-free videos and more into one combo-offer. It seems that Youtube team is well into the final stages of finalizing the subscription based model, which they can offer to their 1 billion+ monthly visitors and churn out some solid profits. Even if just 1% of their billion users decide to pay $10 per month to Youtube, it would be $100 million pure profit every month for them.